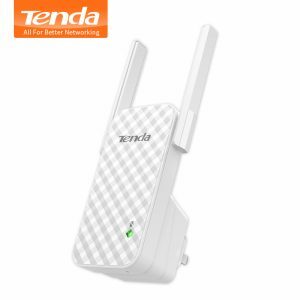 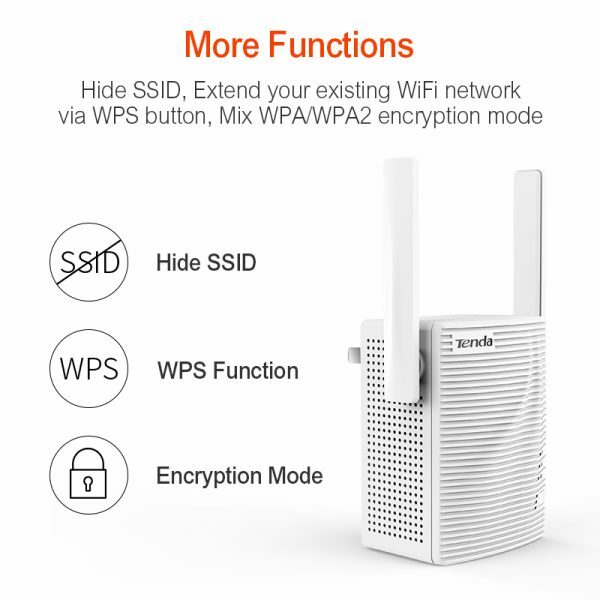 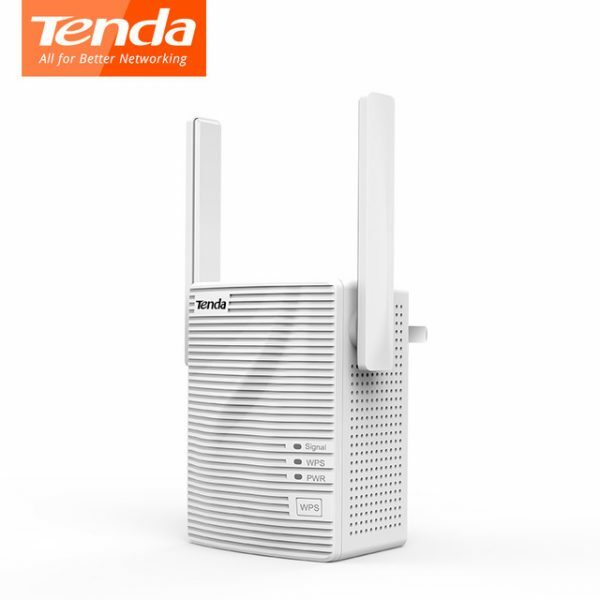 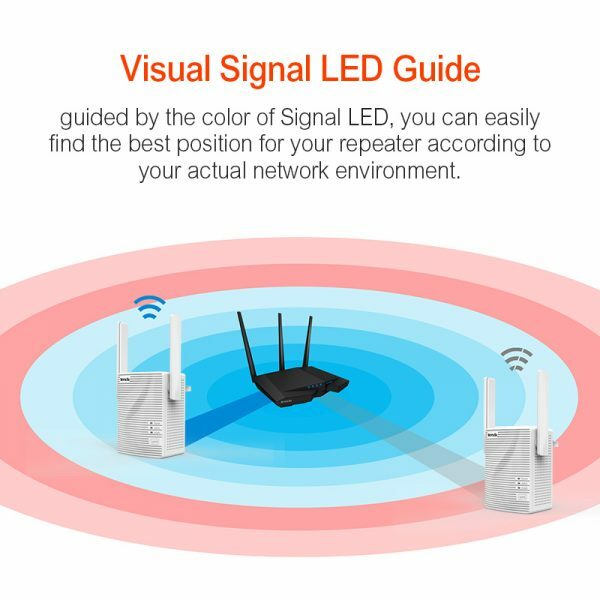 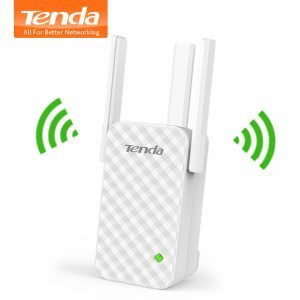 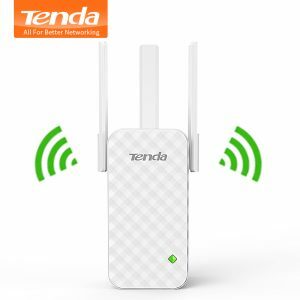 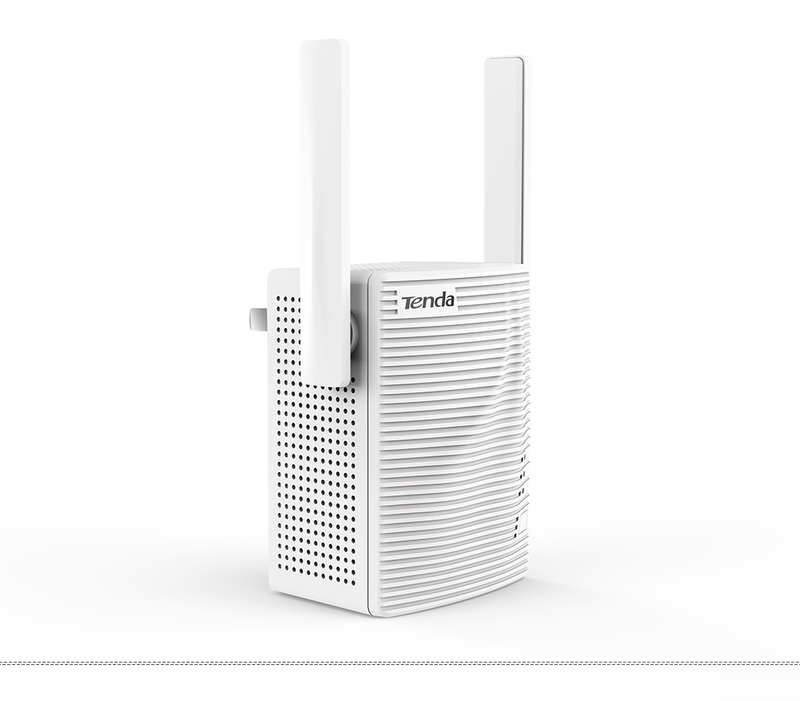 Buy Tenda A18 dual-band wifi repeater AC1200Mbps Range Extender Signal Booster easy set up two external omni-directional antennas - In Stock Ships Today! Standard&Protocol:IEEE 802.11a, IEEE 802.11n, and IEEE 802.11ac wave2 on 5 GHz IEEE 802. 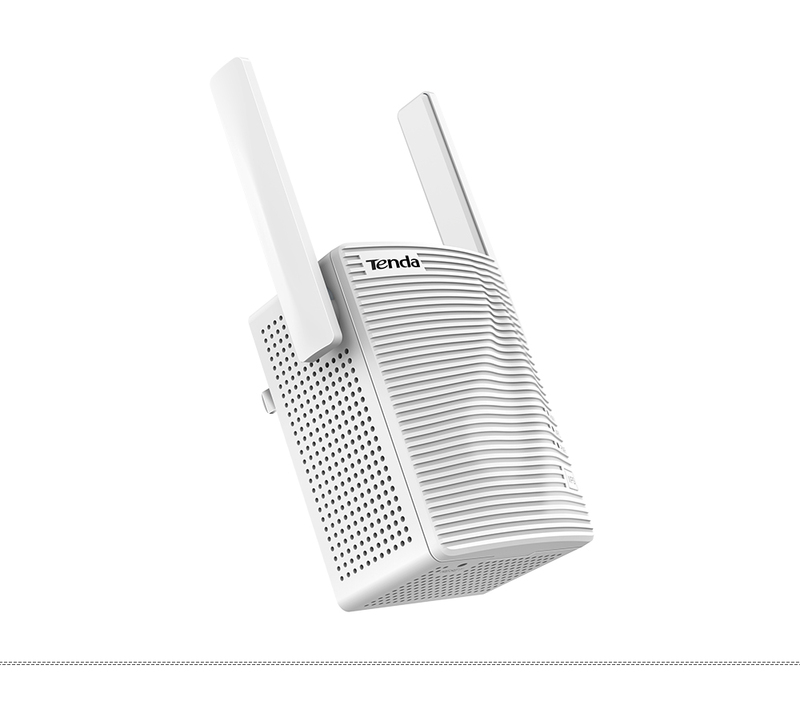 A18 is an AC1200 dual-band WiFi repeater dedicated for two-storey houses, villas, and multi-room houses with an area over 120 square meters. It offers up to 300 Mbps data rate on 11n band and 867 Mbps data rate on 11ac band. 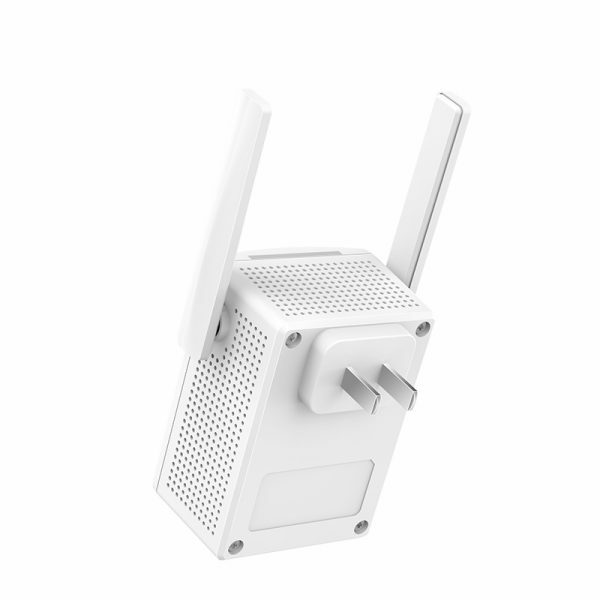 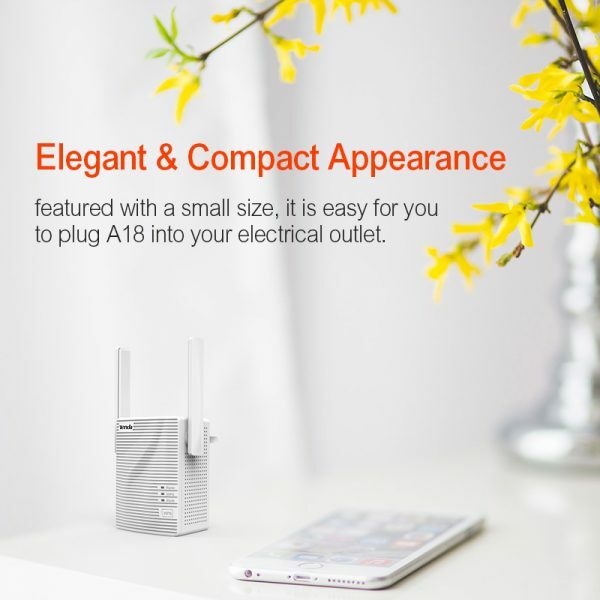 With two external omni-directional antennas, A18 can provide larger WiFi coverage, as well as extreme fast data rate, satisfying applications such as playback of 1080P HD videos, massively multiplayer online games, and high-speed download. 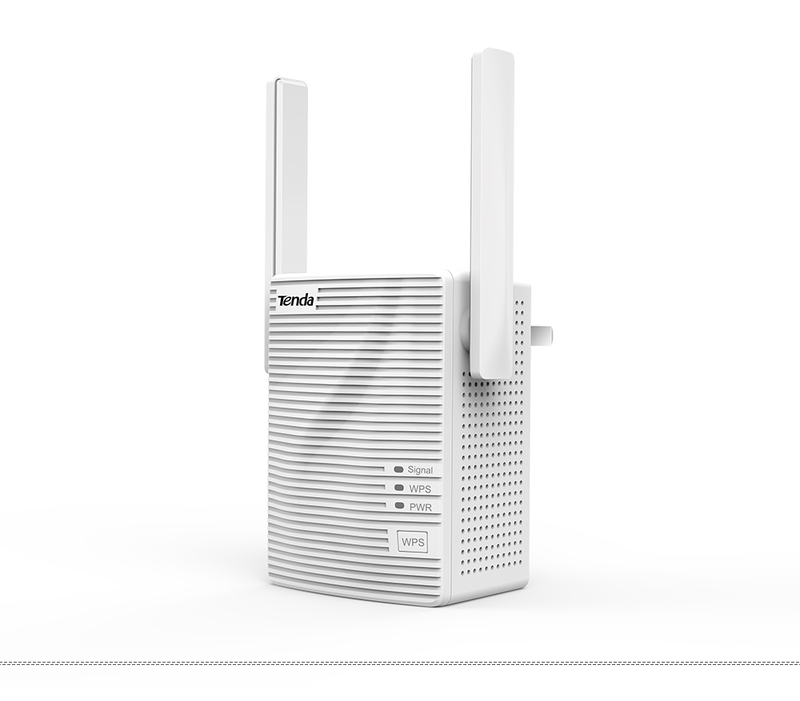 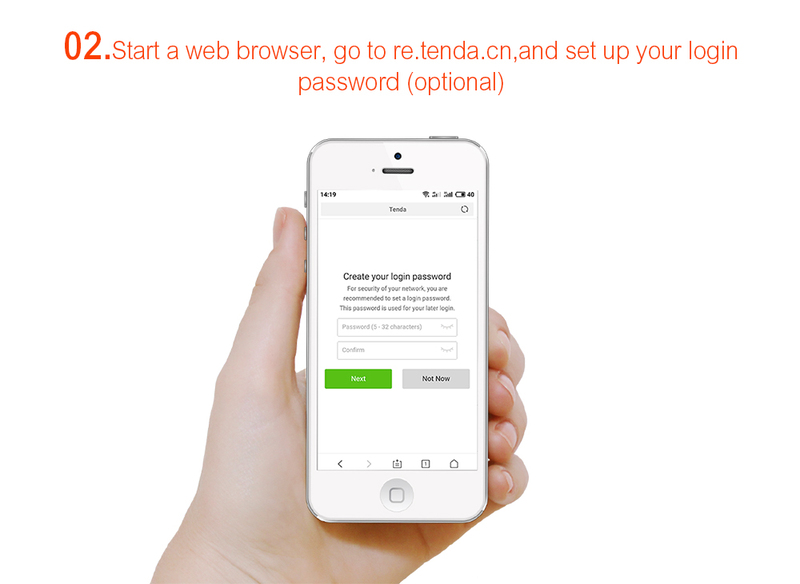 With the upgrade Setup Wizard, it only takes you three steps to configure your repeater, which is easy to use. 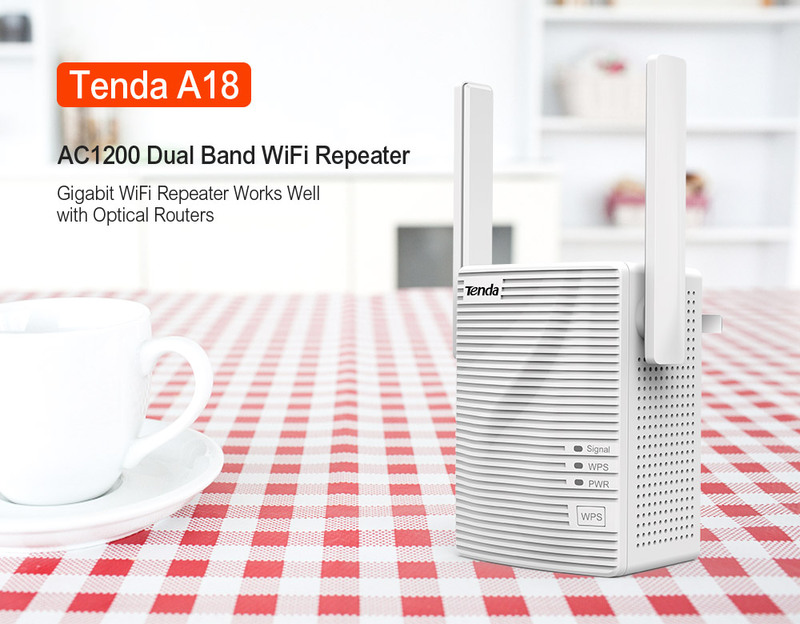 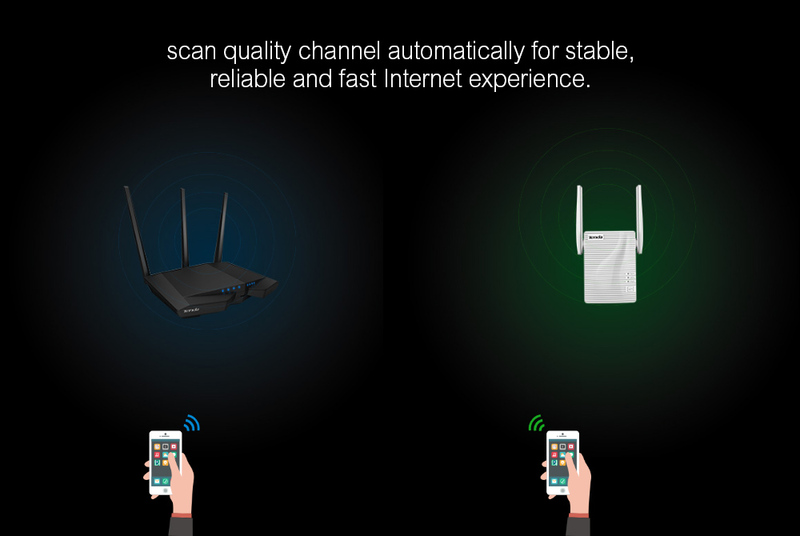 A18 also works better with other brands’ WiFi router available on the market. 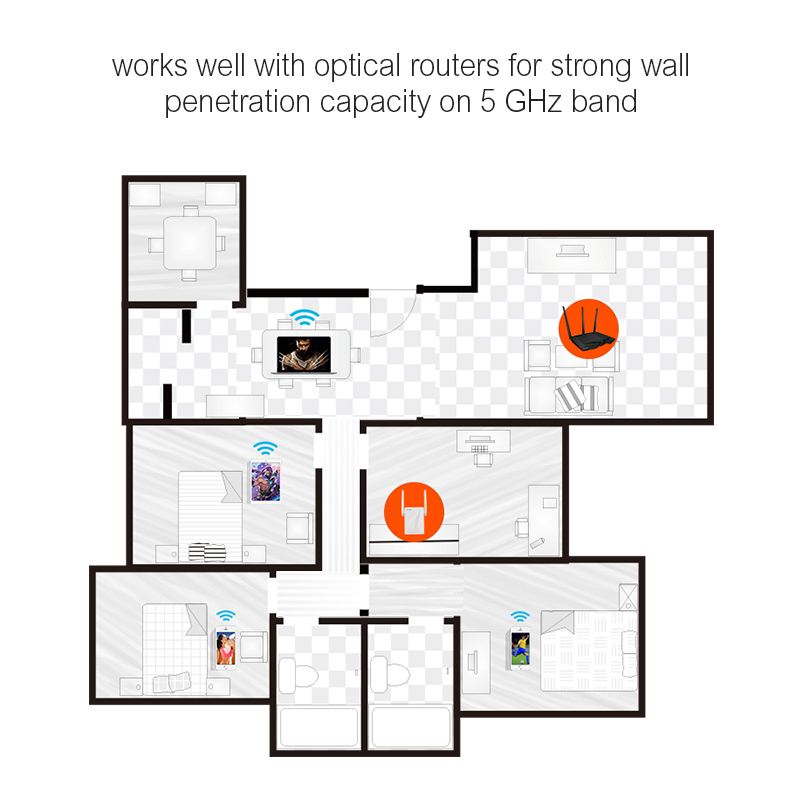 For whole home WiFi coverage, A18 is your best choice. 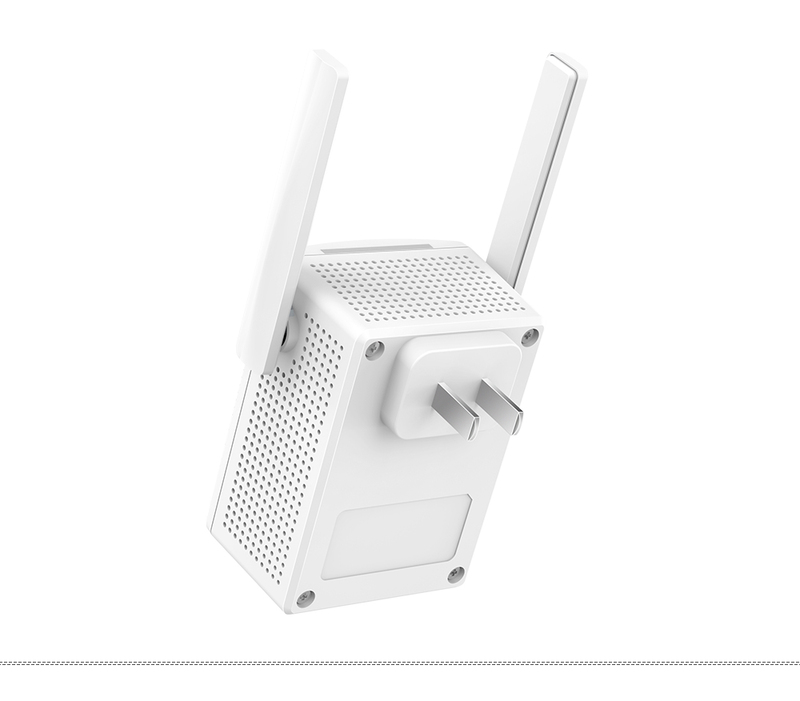 Noted:The Standard Match is US Plug Adapter,and we will try to put correct adapter convert (EU plug,UK plug,AU plug) in box.